Like many aspects on my quest for mastering classroom management, "Morning Work" was a process of trial and error. Thinking back, I'm almost ashamed that it took me so long to find such a simple solution. If I was told to name the time of day when the students are the least settled, the most chatty and the least focused it would be a close tie between "first thing in the morning" and "right after lunch/recess." Post-specialists would be a runner-up. The irony of this is that it is during the "first thing in the morning" timeframe that you have the most things to do in a short amount of time and can't devote your undivided attention to the wee ones before you. They are excited. It's been about 18 hours since they have seen you and their classmates and a lot happens during that time. They have breaking news to share. Maybe they saw a bunny on the way to school. Perhaps a tooth fell out or a cat did some funny trick. Maybe they ate chicken for dinner and can't wait to share that earth-shattering fact with others. Early in my career I thought the best thing to do would be to channel those thoughts into journal writing. So I moved on to what is traditionally known as "bell work." You know...unfinished work, morning jumpstarts, mad minutes, insert any other type of busy work known to man here. Again it was a flop. Because they lacked the independence to follow the directions or legitimately needed assistance. But, I couldn't provide them with assistance because I was taking attendance and checking their daily communication folders which is why they were doing said task to begin with. Plus it felt meaningless. So then I tried handwriting. Once upon a pre-Common Core time, cursive in third grade and it seemed like a good task to start the day with. But some were masters of upswings and downcurves while simultaneously chatting the ear off the peers at their table. Alas I started using the Daily 5 in my classroom. Well, the Daily 5 with my own twists, but the same concept. And I needed to fit in a block of time for "independent reading." And just like that it all clicked and I was left scratching my head and thinking, "Why did it take me so long to do something so easy?" We always start the day with a morning song. It is used to get them settled. When it ends they are expected to be at their seats and reading silently. Everyone can do it. Even wee little non-readers can "read the pictures." The expectation is silence so it's easy to keep everyone on track. Plus you can't read and talk so it's a no-brainer. If someone comes in late he can hop right in. It calms the room and gets them ready to focus on learning. 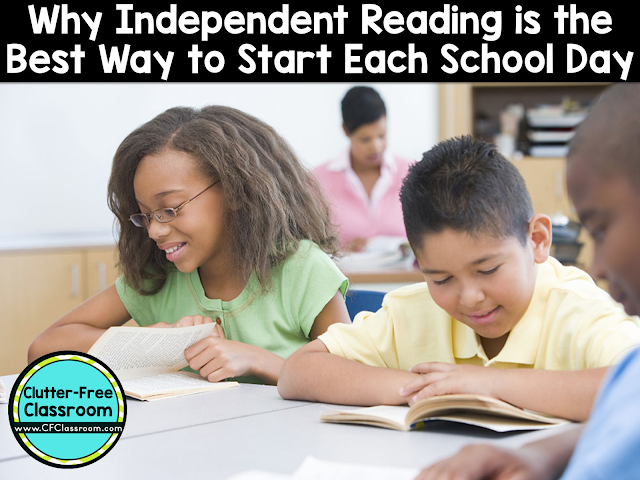 Because this is counted as their 20 minutes of independent reading, I let it go on for that long. 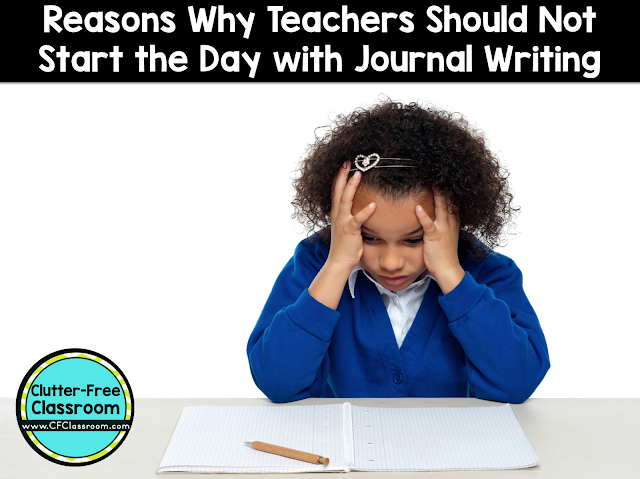 This allows me time to do a couple of running records or 1:1 reading conferences each day as well. Win-win! This also provides a nice buffer for tardy students. Many students opted to record their thinking in their interactive bookmarks, but it was not required at this time of day. As the 20 minutes was ending, I would distribute their spiral review activity pages for math and language arts and project the pages and answer key for a super-quick correcting session/mini-lesson lesson and we would then transition into our Daily Math Workshop with Guided Math Instruction. 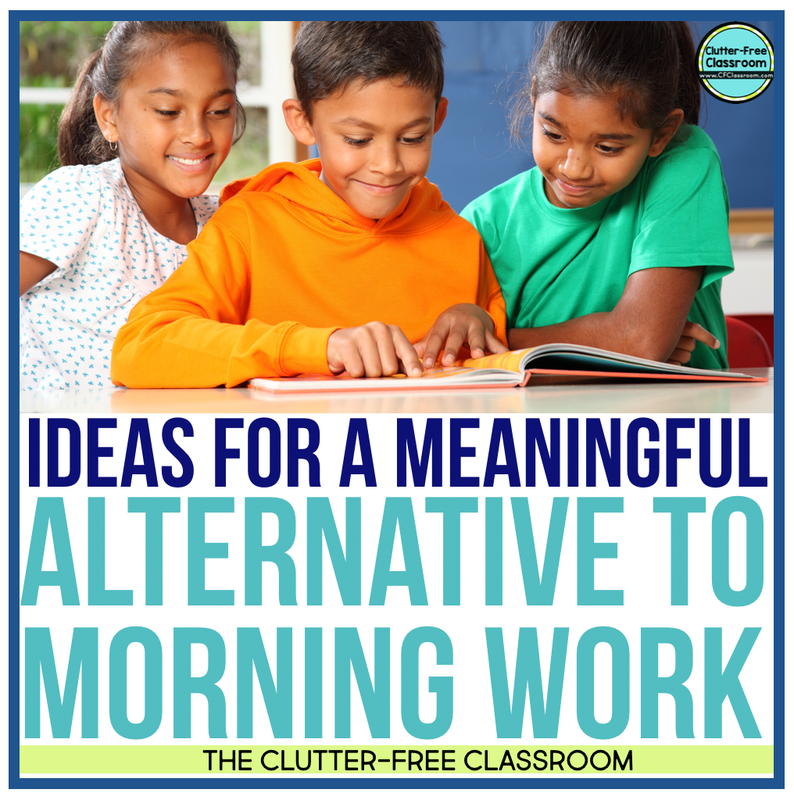 To execute your morning routine, I highly suggest teaching and modeling the expectations as part of you classroom procedures and routines and reviewing them often. 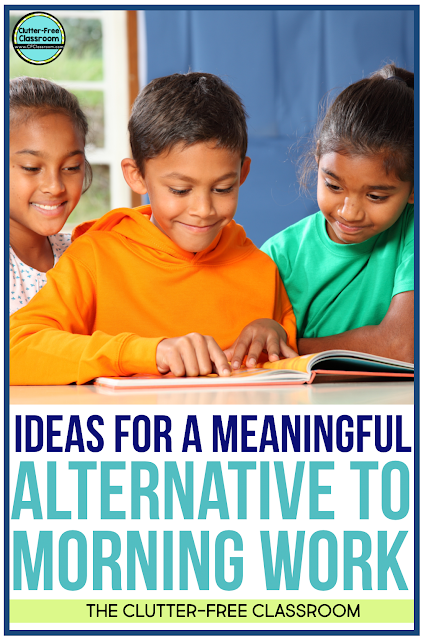 Do you need more helpful tips and ideas on how to effectively manage your classroom? Be sure to check out my Classroom Management Mega-Bundle. That bundle includes an eBook with tons of tips and ideas for all aspects of classroom management, an editable teacher workbook to guide you to planning out how you will effectively manage your classroom and 30 printable resources including the ones mentioned below.